Just this past week I was privileged to be able to prepare tea for a meditation group I attend weekly. Our practice is Insight Meditation or Vipassana, a very old Buddhist practice that migrated to the West through Thailand. 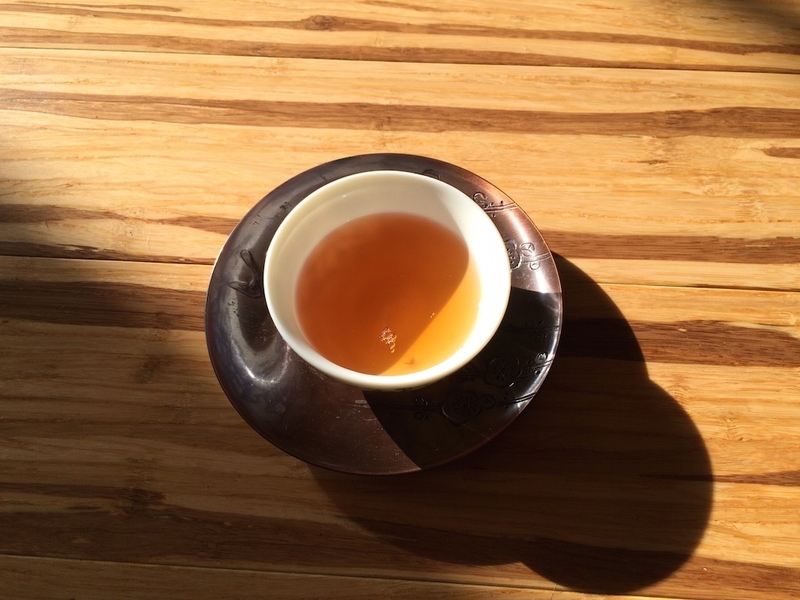 Besides wanting to share some delicious tea, I also had an interest in discussing and experiencing tea as a meditation object. Tea and Buddhist thought have been intertwined for almost as long as Buddhism itself, and as tea made its way throughout the world becoming altered by the traditions of the cultures through which it traveled, so too did the practice of awareness travel and mold itself to fit each place. Tea can be a meditation object; just as the breath can be an anchor to our awareness, so too can the process of making and drinking tea. Just focus your concentration toward the tea, and when you find that your mind is wandering, bring it gently back to the tea again, without judgement. Why tea? Because it lends itself to ritual and is at the same time a mundane activity. It is also a single beverage that exists in the experience of millions of people on this planet. It is perhaps one of the few unifying factors that lies between all countries and cultures. What is making tea? Simple! Heat water, infuse leaves, drink. And yet, when one cares to do so, it is possible to perform those actions with mindfulness, being aware of each step, each motion, fully in the present. In one sense, tea is no different from any other familiar activity, but it can be used to create something special. After all, sitting is done without mindfulness many times each day, but when we sit to meditate, we tend to do so with a bit of ritual; a bell may be rung, a cushion may be used, or our hands may be placed just so. None of these things are necessary, of course, but they are aids to mindfulness. Such variation helps us remember that we are not performing an everyday activity. When making tea, through the use of particular tools, motions, or setting, one can also cultivate such a variation. Indeed, others have developed these variations into rituals and schools for hundreds of years. That is not to say that one must follow the rituals or use the utensils used by ancient masters. Far from it! Tea can be made mindfully using the simplest of tools. 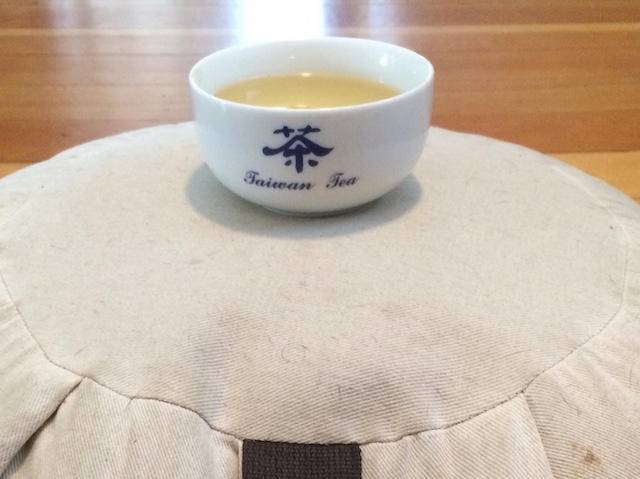 A cracked old teapot or a bowl can be just as satisfying a place for the mind to rest as a fine yixing Shuiping pot. Fine teaware or not, if the mind becomes attached to these utensils, then that is not the practice of meditation. Even when one is not making or drinking the tea, the ritual of tea itself can be used an object of mindfulness. Visually, the beauty or interesting character of the tea tools can be an object to keep the mind present. The aroma of the tea in the air, the motions of the other guests, the sound of the water dripping into a cup. All these can be used as meditative anchors. Indeed, in the tea ceremony, one might say that everything is a meditation. 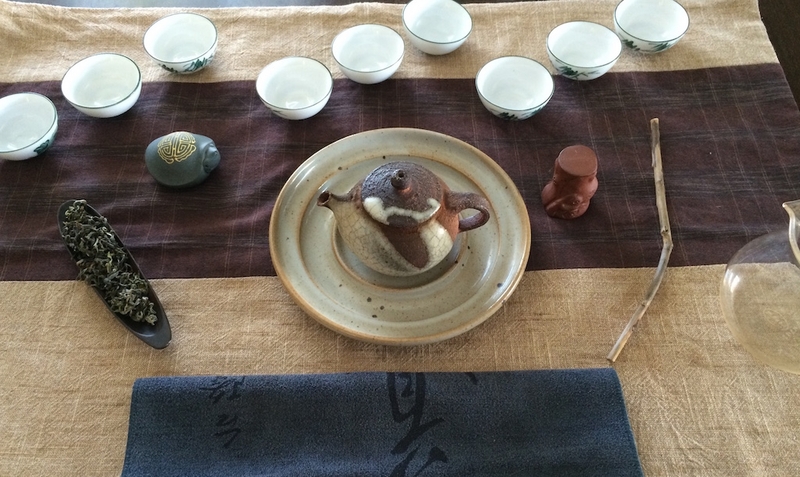 This entry was posted in Method and tagged meditation, tea preparation on March 19, 2015 by payton.